Programmers who are new to PHP development have a habit of testing newly written functions in the browser window, one by one. If something goes wrong, they have no clue what to do next. Its for sure that programmers like challenges, but spending long hours debugging PHP code might not be the most fascinating one. A better practice is to write the testing code before the application code. Automated testing can be a big relief in improving the workflow of PHP development. It manages most of the tiresome tasks for us so that we focus more on developing logic for the testing code. These automated testing frameworks use two types of approaches, one is called or TDD where the proper testing code is used in testing files. The other one is called Behavior Driven Development or BDD which includes human readable sentences describing the behavior of each function so that it can also be understood by the other non-technical people involved. 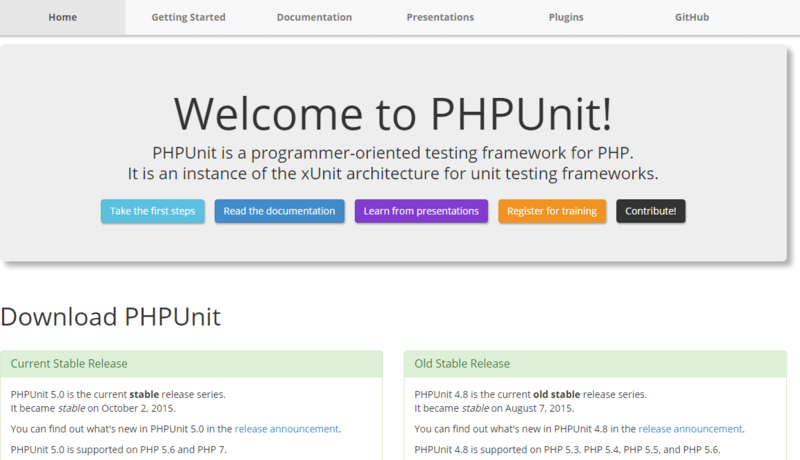 The PHPUnit framework can be used to write unit tests for your PHP code where different units of the program are tested individually, one after the other. It is a programmer-oriented framework, an instance of the xUnit architecture. It also comes with some pre-written methods to ensure that your app behaves in a particular manner. 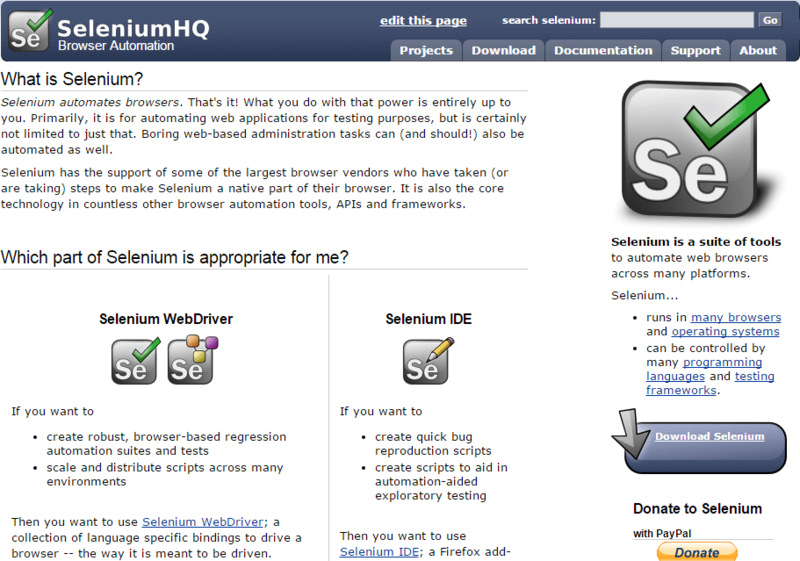 Selenium automates the browsers. It can be used for the automated testing of not only web applications but web-based administrative tasks as well. It is supported by some giant browser vendors who have taken initiatives to include selenium. It is the best tool for testing mature web applications. Using Codeception, you can write not only the Unit Tests, but Functional and Acceptance Tests too. With these, your PHP app can be tested as a whole, along with all its features and not just as different units. You can configure and enable different modules according to your development requirements. It comes integrated with several PHP development frameworks to make the development workflow even more efficient. Behat is a popular framework inspired by the Cucumber Project, a testing framework designed for Ruby. 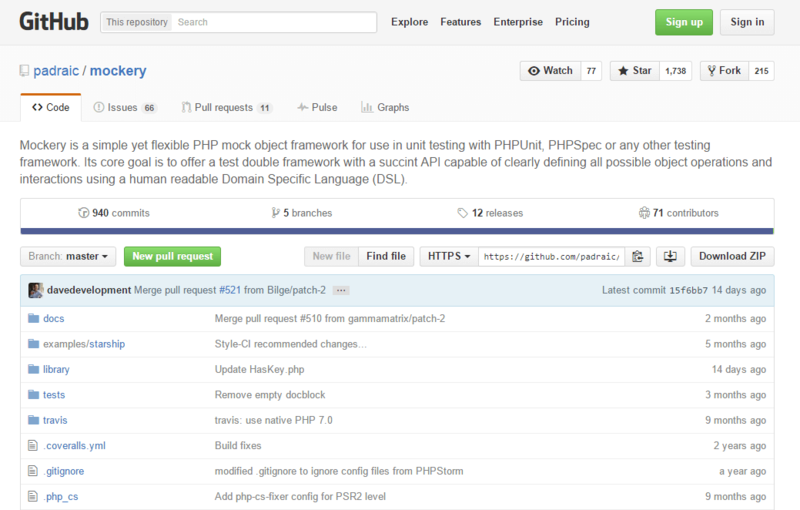 It is a behavior-driven PHP testing framework. The tests written look more like stories than code and describe the functionality of your application. Kahlan is a full-featured behavior-driven testing framework. In this, you can write Unit Tests in a better way as it uses the describe-it syntax. In this, you can stub your code directly without having to add PECL extensions. It is said that its code base is about 10 times smaller than that of PHPUnit. Atoum is a modern, simple and intuitive testing framework. 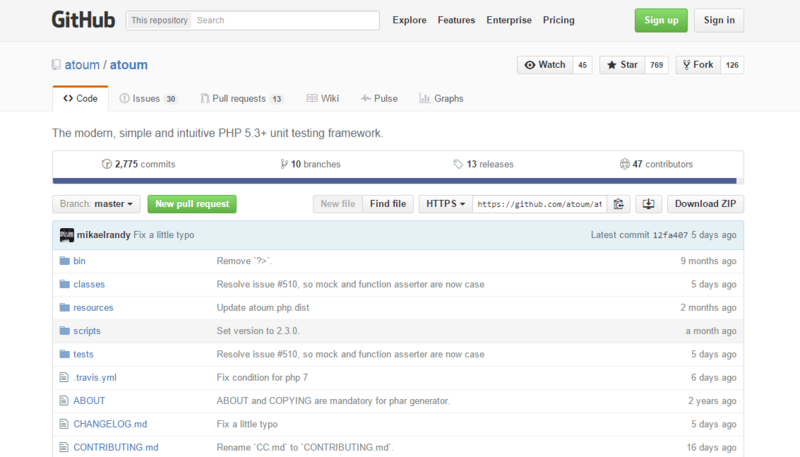 It gives you a whole new way of writing Unit Tests using capabilities provided by PHP 5.3. It can easily be installed and integrated inside an existing project. It is easy to understand and allows you to write Unit Tests in a fashion close to natural language. 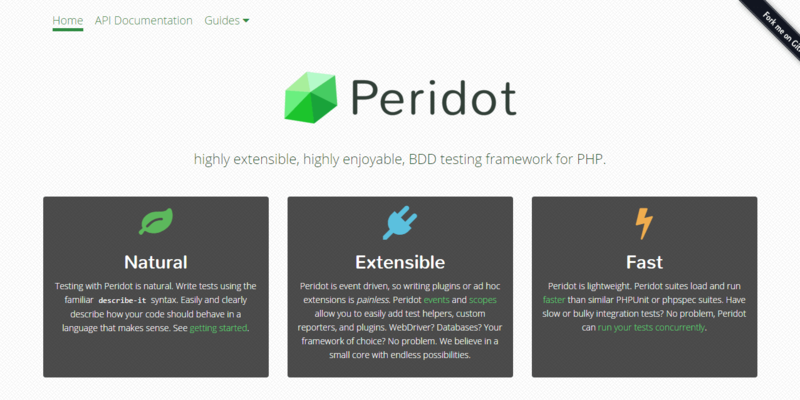 Peridot is a lightweight and extensible framework. It has an event-driven architecture in which the testers can customize the framework by using certain plugins and reporters. It also uses the describe-it syntax to maintain an easily understandable language which clearly shows the behavior of your application. It is a full-stack testing framework. In this you can write end-to-end tests for the whole platform. Using Storyplayer, you can create and destroy test environments on demand. It uses the test-driven approach or TDD for testing. So, you can write functional tests for the app as a whole. 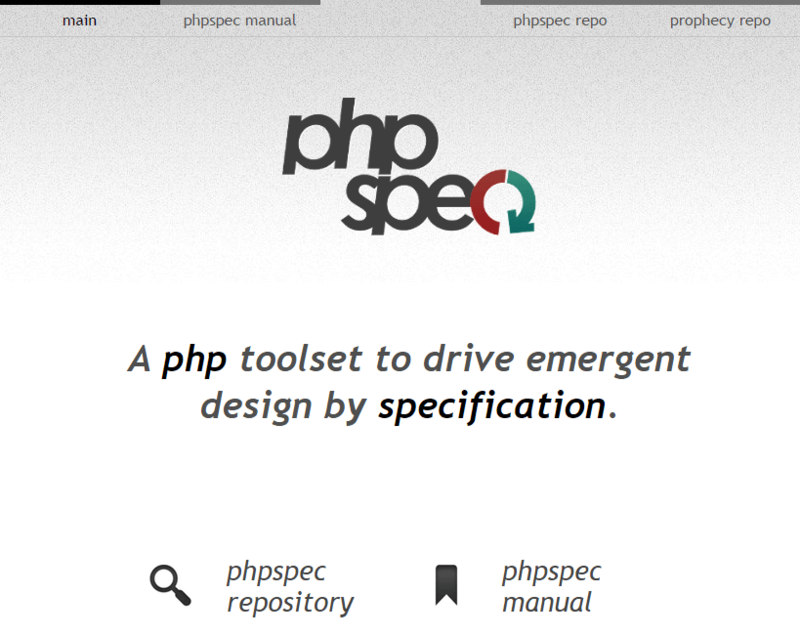 PHPSpec follows the BDD testing approach. It has another subtype called SpecBDD, which requires you to write down the specifications first, describing how the application code is going to behave. 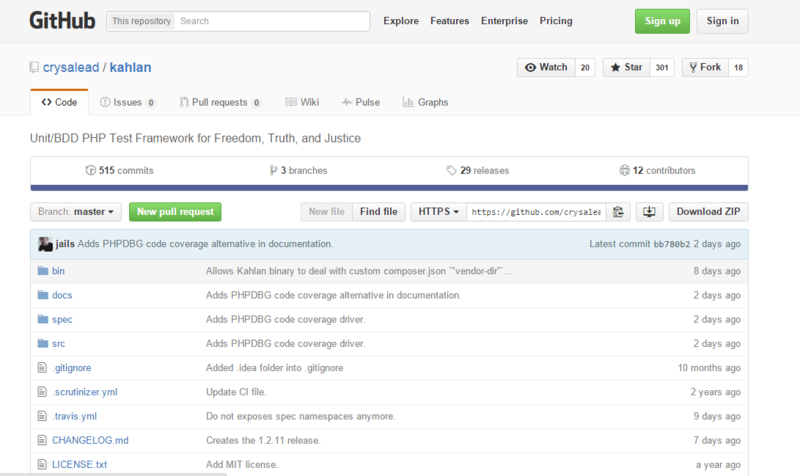 It was inspired by RSpec, another testing framework for Ruby. 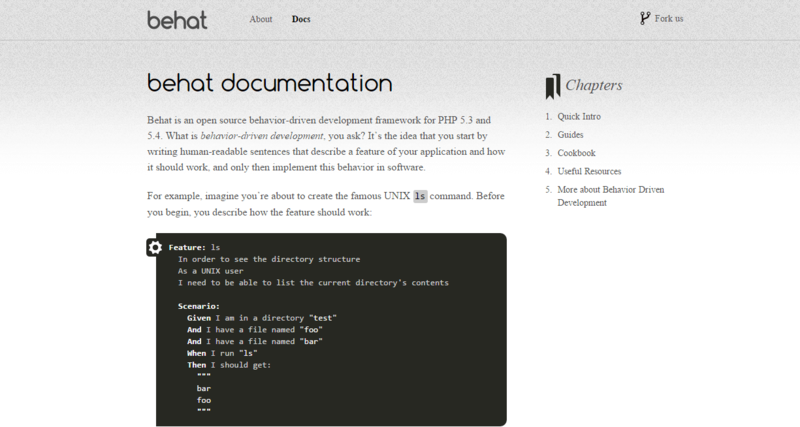 Mockery is a PHP mock object framework used for Unit Testing with different frameworks such as PHPUnit, PHPSpec etc. Its main target is to offer a double framework for testing, with an API capable of defining every possible object operation or interaction by using a human readable DSL. Automated testing frameworks give us the power to write PHP codes of a much better quality. With the growing popularity of PHP, a number of choices are available, so you can select the one that suits best to your development requirements. Automated testing is powerful, but you should remember that it is no substitute for beta testing. In the end, the application is going to be used by real humans, hence must be tested and approved by them. If you know of a better PHP automated testing framework, let us know in the comments below.